The 10 Best Neighborhood Bars in South Carolina! Neighborhood bars, local watering holes, hometown drinkeries—whatever you call your favorite friendly drinking establishment, South Carolina is home to some of the best in the country. 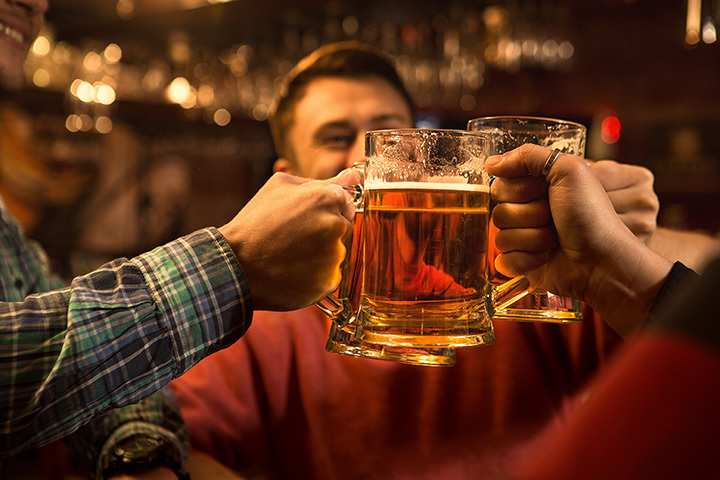 The neighborhood bar is a gathering spot for old friends, a place to make new ones, and a second home to kick up your feet after a long day or week. It’s hometown service at its absolute finest, and you won’t find any better than these 10 best neighborhood bars in South Carolina. If you want to go where everybody knows your name (or will try hard to learn it), Waymore’s is your spot. They embody all things southern hospitality, offering personalized service at every angle that makes you feel like part of the family. Fans rave about the food here, giving you all the more reason to go enjoy yourself. Touted as Charleston’s best dive bar, this friendly little neighborhood hot spot takes first place in food, form, and function. Step inside to find a dollar bill-lined English-style pub that’s brimming with craft beer in a neighborhood-style setting. It’s a far cry from the fast-paced nightlife scene on King Street, and their customers like it that way. A far cry from the typical neighborhood bar, this beautiful little wine palace is tucked inside Bluffton’s downtown area. Grab a seat and enjoy live music, $5 food specials, and wine flights, all served in classy digs that showcase Bluffton’s brilliant fusion of history and sophistication. If you don’t already live in or visit this area of town, this place will make you become a regular haunt. This neighborhood favorite in the Shore Drive and Arcadian Dunes communities is beloved by locals and tourists alike. They’re serving up some of the best pub grub on the beach with a fully stocked bar and game room. Travelers look forward to coming here year after year, while locals keep the place hopping year-round. This place is everything a friendly neighborhood bar should be. From game nights and karaoke to live music and awesome food, you can squeeze in a meal and a whole night of entertainment all in one place. Their guests love the welcoming environment and rave about the speedy food and beverage service. Folks in South Carolina agree there’s no sense of community quite like the kind you find around the lake, and Frayed Knot will make you feel right at home. This waterfront watering hole on Lake Murray offers a full-service bar and three meals a day to families and nightlife seekers alike. You can settle down next to a fire pit or catch your favorite game on TV while you’re here. This local’s favorite hangout has the best wings in town. They’re known for their fast service, both at the bar and in the kitchen, yet they also know how to provide a relaxed atmosphere where you can unwind and enjoy yourself. Groups love this place because there’s always something to do, from pool to karaoke to live music and more. This cozy little tiki bar is a little hard to find, but that’s part of the fun. Overlooking the east side of the island with stunning views of the Atlantic Ocean, guests who do find this neighborhood gem are in for a treat. Cold drinks, bright decor, and beach access make this place a triple win. Foxfield offers that “backyard bar” look and feel that folks in Columbia just can’t find anywhere else. Live music from local talent fills the air most nights. Their guests speak highly of the food menu, touting it as some of the best in town for both price and flavor. This place has been making waves around town as being one of the best bars in the Lowcountry. Free live music has helped to position them as a go-to hangout spot. And the inside of the place is just as unique as the singer/songwriter talents they showcase.